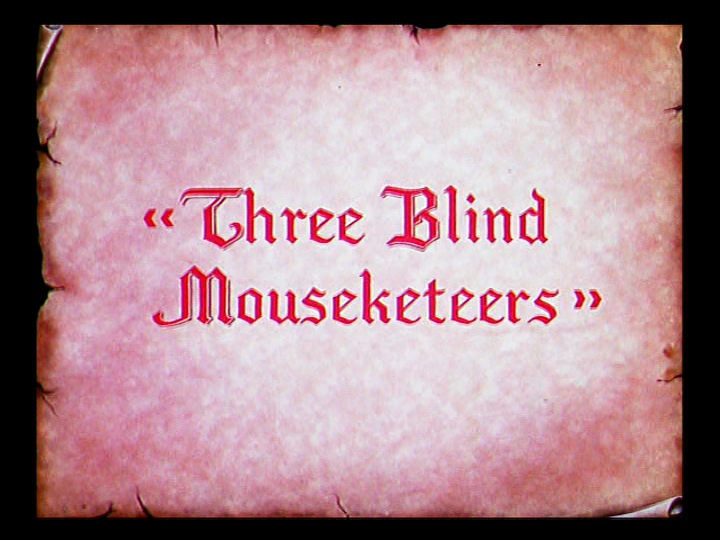 The Three Blind Mouseketeers introduce themselves in song, dancing around and practicing their fencing. They decide to head to the banquet hall to get some cheese, but don’t realize that the evil Captain Katt has set up several traps for them and is hiding in a barrel as he waits for his victory. The three narrowly miss the first trap set in front of the hole in the wall, and separately spring the other traps while retrieving the food, narrowly missing being killed every time. They manage to get away with all off the food, with Captain Katt sleeping in his hiding place, unaware of their victory. 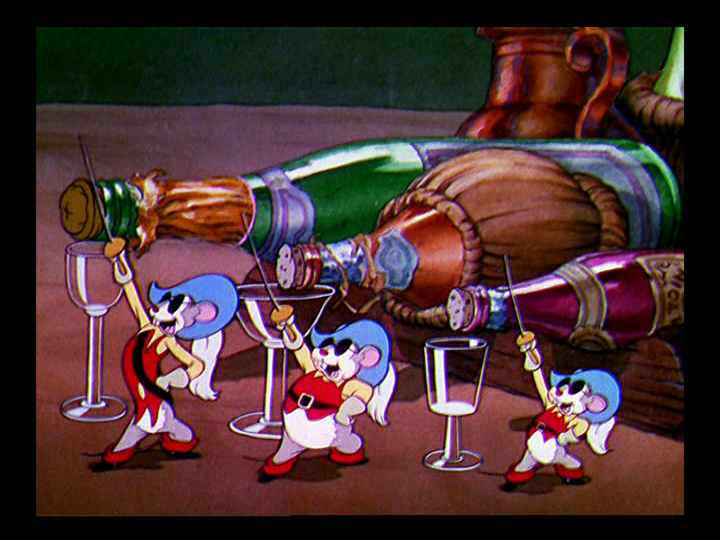 As the mice pop open the champagne in victory, they wake Captain Katt, pelting him with the corks from the bottles. He sneaks over to attack the three, and the mice scatter, with one getting trapped under a bowl. Captain Katt then tries to find the mouse under one of the three bowls in front of him, but is unable to. When he finally does, the mouse stabs him in the nose, infuriating him. When he finds that a mouse has been hiding under each one, he goes crazy and chases after them with a hatchet. One of the mice gets his tail stuck in the floor, but is able to use his reflection on a pile of bottles in front of him to make it appear that he has a giant Mouseketeer army at his disposal. Captain Katt is scared away from the banquet hall, and lands in each of his traps as he tries to flee.